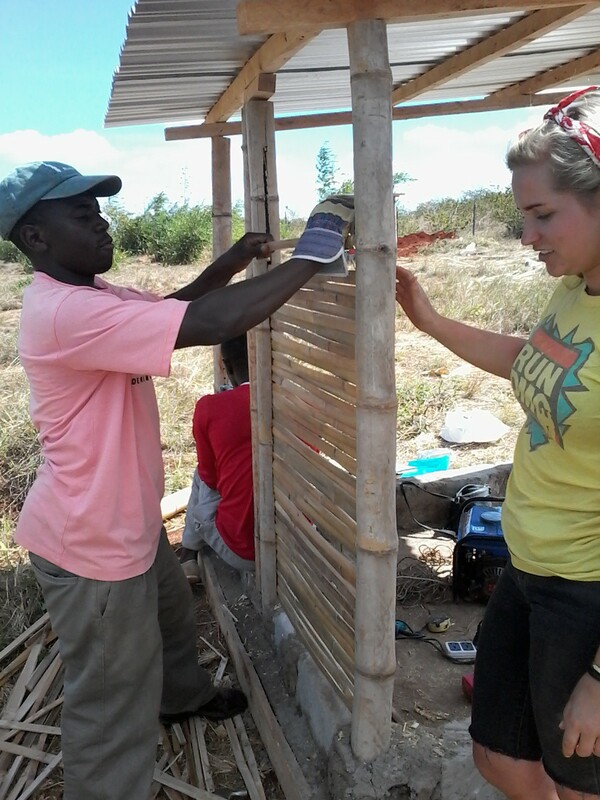 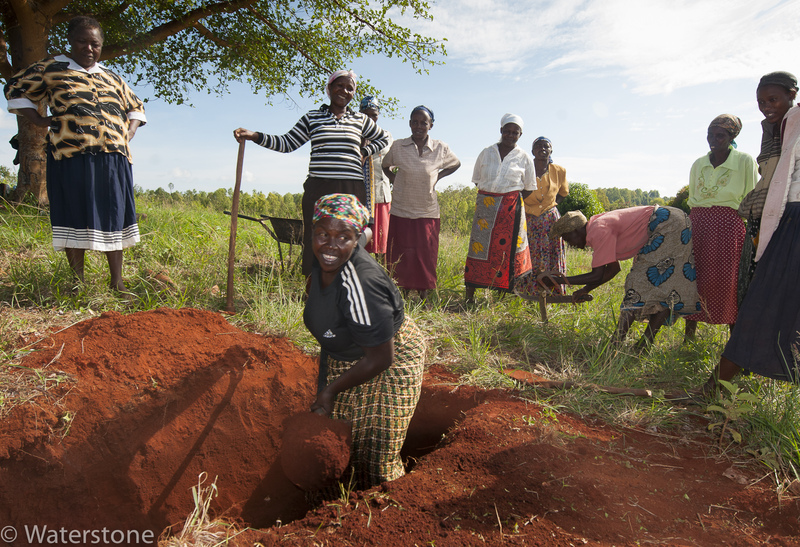 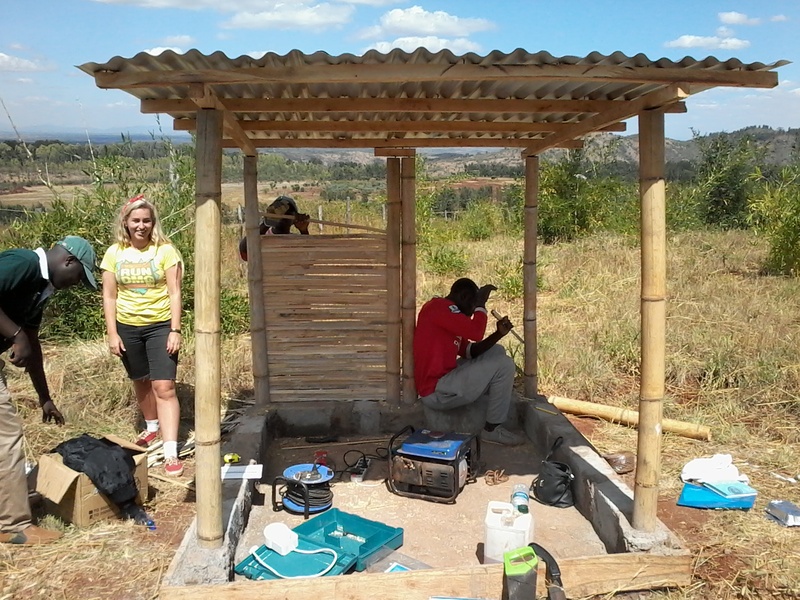 Construction of a small shelter, at the bamboo plantation in Murang’a. 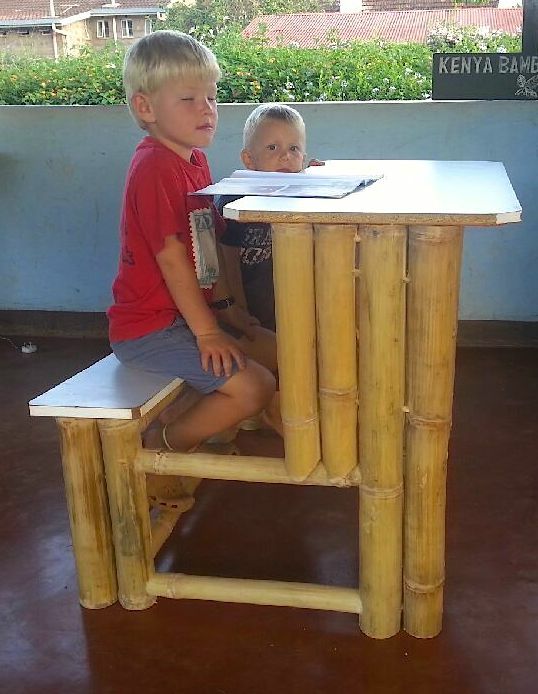 An easy school desk in bamboo, possible to purchase in different sizes, according to age group of the children. 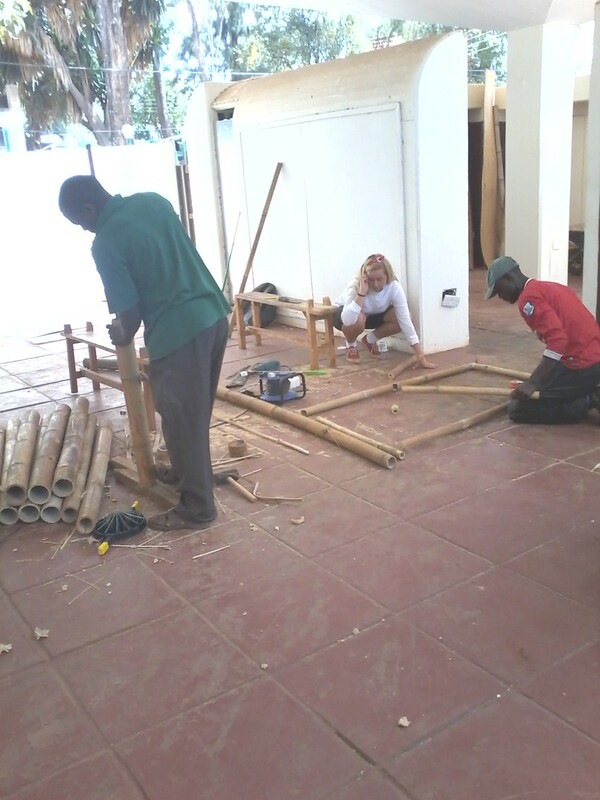 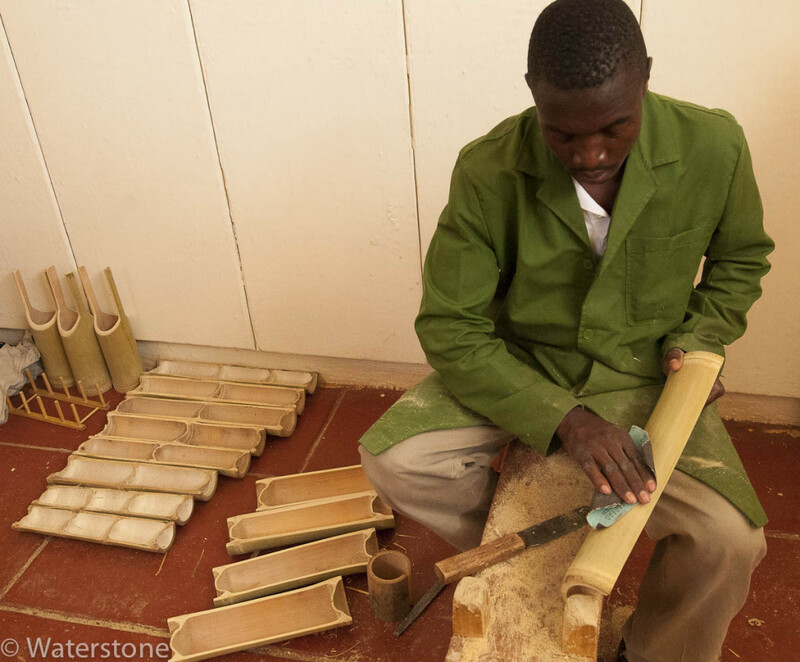 Constructing a pit toilett in bamboo.